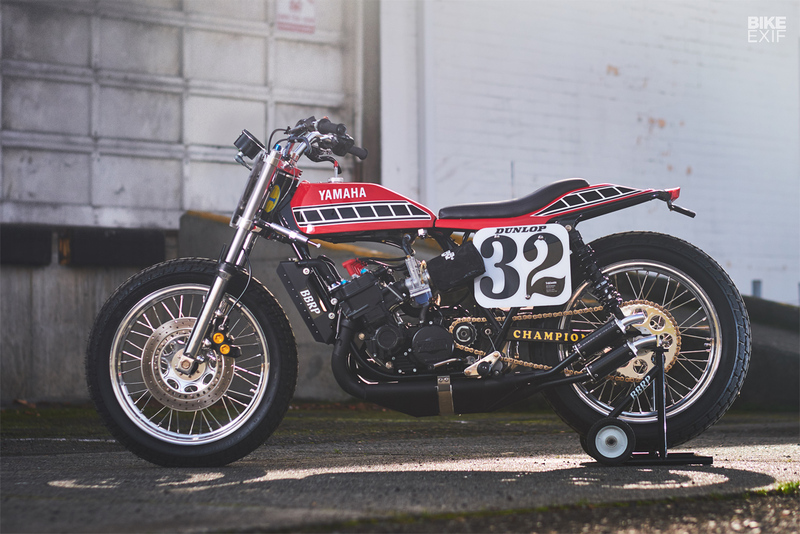 Street tracker motorcycles take their design cues from racing flat trackers (or dirt trackers, as they are sometimes known). 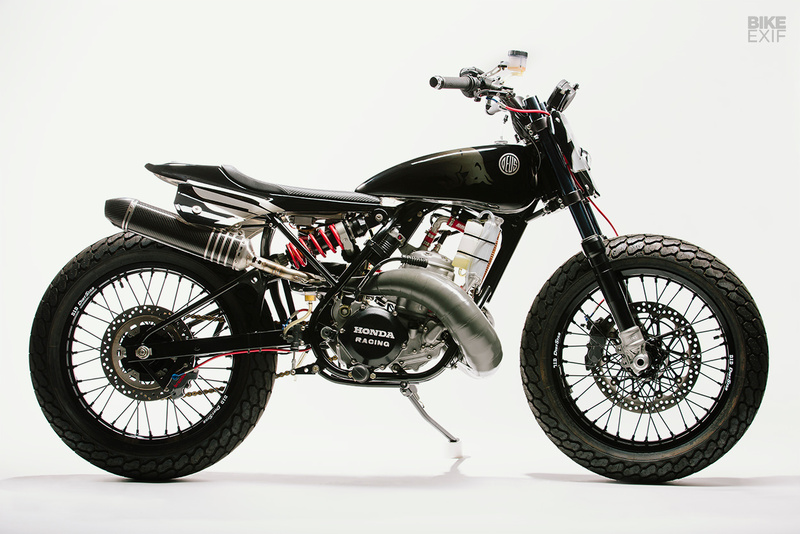 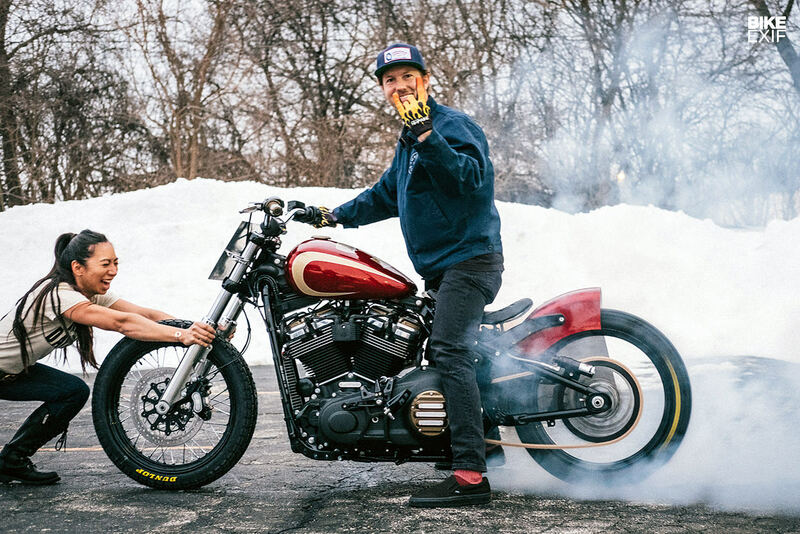 Unlike the racers, a street tracker custom will have front brakes to make it road legal. 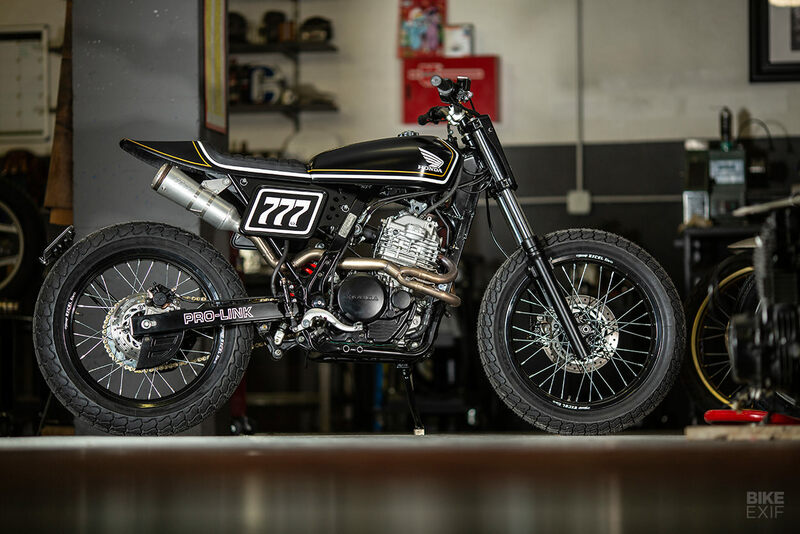 It will also usually have matching 18- or 19-inch wheels, a slim and elongated fuel tank, a short and kicked up tail unit, and sometimes a high-mount exhaust.